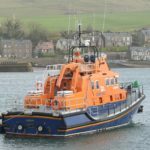 Campbeltown lifeboat crew was scrambled in the early hours of Saturday morning. 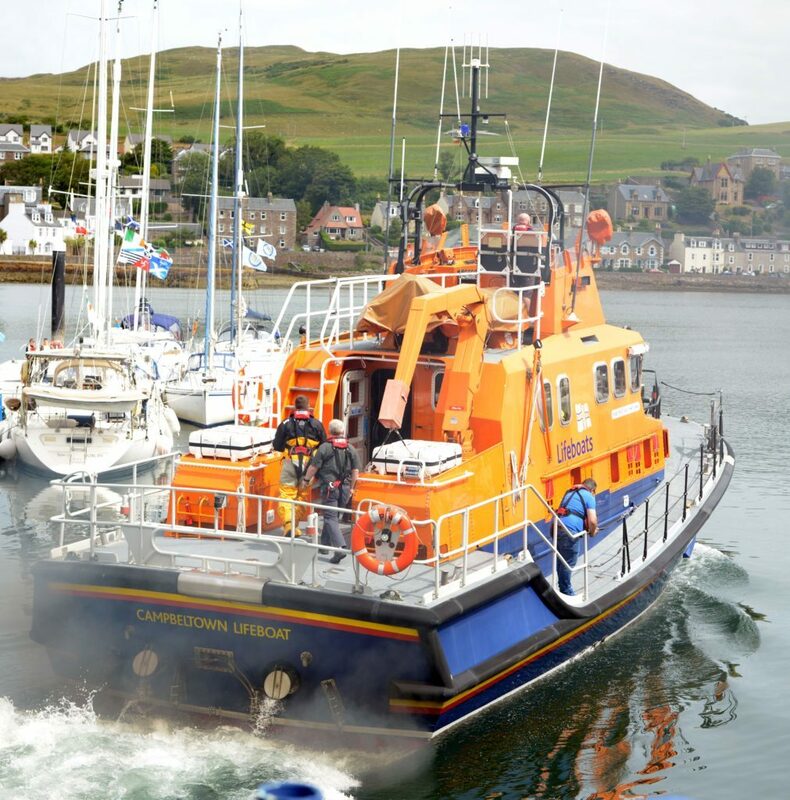 A yachtsman had reported engine failure in a 48ft vessel motoring round the Mull of Kintyre. The mayday call came just after 4am and the all weather Mary and Ernest Shaw lifeboat was launched, with seven crew, at 4.20am, under coxswain Stephen Scally. The four crew were found safe and well drifting near the Mull of Kintyre lighthouse. The yacht was towed to Campbeltown and the mission completed at 8.20am. Later that morning members of the crew joined colleagues who were running the inshore lifeboat as safety cover at the Campbeltown Community Regatta. 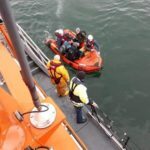 Last Friday, at about 4pm, a family of three were rescued from Davaar island after they were trapped by the incoming tide. Apparently they had crossed the Dorlinn earlier in the afternoon. It was reported that they thought the water inside the sand bars never varied, like a lake and did not realise it is tidal. At high tide they became stuck and could not cross back. As the Landrover used to launch the D-class inshore boat was at the Kintyre show, the all weather boat was tasked. The family was rescued using the Mary and Ernest Shaw’s inflatable. On Tuesday a man was reported, chilled and cold, stuck on rocks at Machrihanish. The inshore boat was tasked but before it arrived he had been rescued by a village boat owner.